The hubs and I have been together 10 years now and he has been part of the law enforcement community for 6. What no one tells you when your significant other says they want to be law enforcement is the sacrifice you will make too. People tell me all the time, “I don’t know how you do it” and I tell them it takes a special person to be a cop wife, but it takes an even more dedicated person to be a military wife. That I could not do! Major shout out to military wives. At least for me I will see the hubs every day or every few days. If you are thinking long term with someone who wants to enter law enforcement or who is already in the profession just know it’s a commitment. I want to take a second to write this post to give you an idea of what to expect. Flexibility. Be ready for shift changes and having to adapt your life to a new schedule. As hard as it is for your significant other to change sleep patterns, the time frame in which you will see each other will also change. For us, there have been times we would go four days without seeing one another. We relied on text and a shared calendar app to make sure we kept in touch. Be understanding when their shift was supposed to end 2 or 3 hours ago, but they are still not able to come home. Listen…they’re tired too! Dinner can be reheated! Get comfortable with missed holidays, birthdays, and special events. 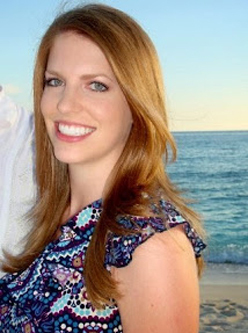 You will often go alone to family functions or events like weddings. Especially if your significant other is a rookie or low on the seniority list. It makes the days and events together even more special. Support. Support is in the top two most important on this list. Especially in today’s world with negative media swirling your significant other’s profession will be questioned which means you will be questioned. Remember, their long days are sometimes even longer than yours. A police wife once told me to always listen. Regardless of how much you can or cannot stomach the details…listen, because sometimes he or she has seen or heard horrific things and in order to sleep at night they need to share the details. Independence. While you are in a relationship with someone (and that could even mean married to) and (hopefully) dream of spending a lot of time together, the reality of it is that can change frequently (re-read #1). Establishing a schedule and social life outside your marriage/relationship is healthy. Spending time with your own friends, planning weekend getaways, eating out, going shopping, enjoying hobbies is normal. If your significant other is in law enforcement chances are you will need to occupy your free time. Make the most of time off. Time off…a rare thing. If you know a free weekend is coming up or you are able to take time off to match your significant other’s time off do it! Plan ahead and spend the time together. Family and friends will likely want to monopolize that time, but don’t forget how important your relationship is. Even though I am a huge supporter of having your own identity and independence it is also noteworthy that being there for your significant other is equally as important. Community. Remember to surround yourself with a positive, helpful community. This includes other police wives/girlfriends. They understand your story because they share a similar one. Also build a community of non-law enforcement individuals. They may not be able to understand your life as a police wife, but positive people breed positivity. These are the people you will share your free time with so pick wisely. I hope this provides some insight on what it is like to be in a relationship with someone in law enforcement. I started writing this post weeks ago and have struggled to say the right things and get my message across clearly. 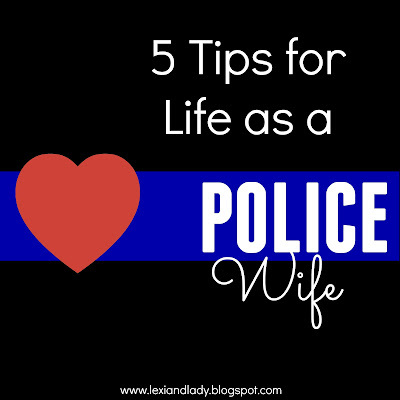 I felt it was important to convey this to those who are considering a long term relationship with someone in law enforcement or wants to pursue a career in the field. It’s not for the faint of heart. Sorry for the radio silence over here. Last week was a tough one and I’m glad it is followed by a 3-day weekend. Last Saturday morning I woke up to the gut wrenching news that a Harris County Sheriff’s Deputy was shot and killed while pumping gas. My heart was broken for his family, his coworkers, and the entire law enforcement community. It’s an unforgivable attack on the lives of men and women in law enforcement and truly rocked our world. I have mentioned before my husband is a police officer. Not a day goes by I don’t think about his safety and the safety of other officers. The reality of it is, they have chosen a profession that puts them in harms way more often than most. They never know what their day may hold or what they’ll try to forget once the shift is over. For months we have been hearing the news of police officer involved shootings. The media does an amazing job of hyping up one side of the story and swaying public opinion. They do this for many stories, not just the officer involved shooting cases. Since I’m an officer’s wife, a lot of people want to start a conversation with me based on my beliefs vs theirs and I’m here to tell you, I support the men and women of the thin blue line. Are there a few bad apples in law enforcement? Yes, but that’s in every field! Don’t be naive and think there aren’t bad lawyers, bad teachers, and bad doctors! The show of support for the law enforcement community has been overwhelming this last week and an extremely emotional one for me. It breaks my heart that it takes such tragedy for kindness to come out. Every day we should be thanking the men and women who sacrifice time with family, holidays, a normal sleep schedule, and so much more to protect us. We thank members of the military for their service, when was the last time you thanked a police officer for their service? It was reported that over 9,200 uniformed officers attended Deputy Goforth’s funeral last week. They listened to his final radio call, they mourned over the loss of a brother. Together, they are the thin blue line and that binds all law enforcement and their families. If you’ve never heard an officer’s final radio call then you should really take a moment to listen. The feeling is indescribable! Last week I really struggled with the hatred in this world, hence the lack of blog posts. Thank you to my friends who reached out and reminded me that my husband’s profession is appreciated, that my sacrifice as an officer’s wife does not go unnoticed, that the law enforcement community is loved and supported. These officers are only trying to make the world a better place. Their commitment to the community in which they serve is undeniably good. I ask you to respect all law enforcement agents in every situation because you do not and cannot understand what they face each and every day. If you get pulled over and you’re angry about it, be polite, be understanding, because they’re just doing their job and you have no idea what they’ve already seen during their shift that day. Officers hide/control their emotions, but it is the families of law enforcement who see the daily struggles they face and hear the horrific stories of the calls they respond to. I may not speak as eloquently on the subject as some people have, but these are my thoughts on the subject and if you disagree, please do not be disrespectful to myself or the thin blue line family.